Power Plant Marijuana is very rich in THC offering a potent and stimulating psychoactivity besides being very stable, consistent and homogenous. 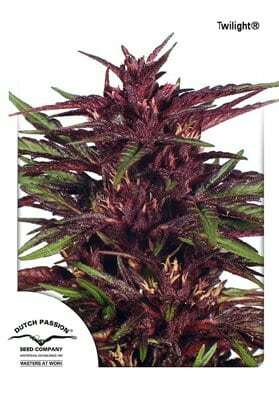 Power Plant was developed from Dutch Passion Seeds in 1997 from new South African cannbis genetics. It has been inbred, neve hybridised, whose whose Original version is only available in the Dutch Passion seedbank. It is a heavy yielder when grown indoors, greenhouses or in outdoors (grows pretty well in the Mediterranean climate) offering between 500-600 grams/m2. In fact, this strain is very popular among recreational and therapeutic growers. Power Plant is one of the key strain of our collection and is regarded as a Dutch legend like White Widow. Indeed, when this strain was available on the market, every coffeshops wanted it in their menus. It is still for sale. Power Plant is very rich in THC and gives a very powerful and stimulating psychoactivity, having a fresh, mild flavor that leaves a sweet taste in the mouth. The plants are able to reach between 1 and 1.5 meters tall and the size of the buds tend to get bigger than a foot, surrounded by small leaves. Outdoors, plants have a late flowering start, but ripen very fast. Indoors flowering starts just one week after switching to the 12/12 hour light cycle. Since it is a pure unhybridized strain, it is very stable, consistent and homogenous. Power Plant is one of those low complicated original classic strains that everyone should try. High yielder, uniform and very powerful.